Normally when a student picks up their textbook in the shop, there are about five other identical copies directly behind it. 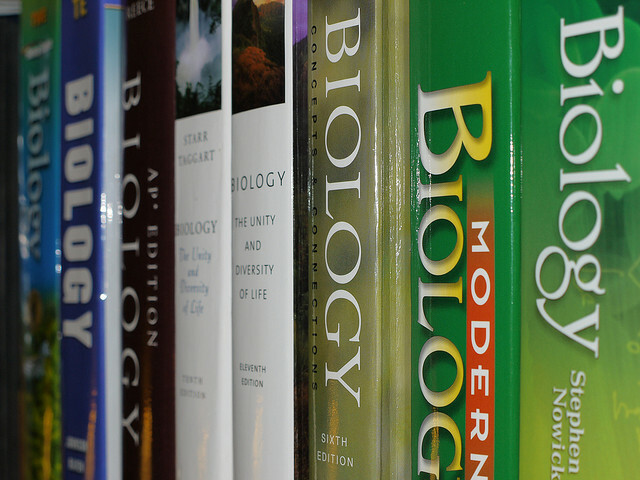 You’re familiar with this scenario, but it isn’t the only version of the start-of-year frenzy for schoolbooks. 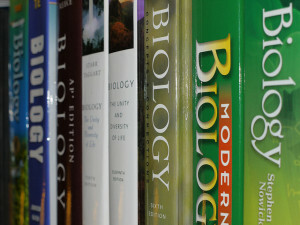 Due to a group known as the custom publishing department, there can be many variations on a standard textbook depending on the needs of a school, department or instructor. That’s how custom projects originate—with a conversation between a sales rep and an instructor. Maybe the existing book lacks specific coverage they need or has too much coverage of something else. Maybe they want to include their own original content or syllabus. Or maybe they want to hand-pick selections in a cover-to-cover custom reader. All of these projects begin with the needs of an instructor and their students. As a result, the custom editorial occupies a bit of a niche within an academic publishing house. We’re all a little crazy and we’re very close. We also operate on a different schedule than everyone else. The workload for other academic disciplines, such as English or History—to me anyway—seems relatively stable throughout the year. Custom, on the other hand, definitely has a busy season in the spring/summer. Last year, my department turned over 150 custom projects. As an Editorial Assistant, I find myself jumping in and out of projects depending on what needs the most help that day. I could be clearing permissions in the morning, proofreading over lunch, and formatting custom text by the end of the day. This is what defines custom—a crash schedule and the flexibility to take on more or less any kind of project, picking it up from any part of the editorial/production process. It’s an uncertainty that makes us run, makes us rush. It’s a race to that bound book date, especially when you know there are even more upcoming BBDs in the next few weeks. Editing is fundamentally about cleaning—straightening things up, focusing on detail, striving for perfection—but custom is a risk. You don’t know if the books will sell, if the dates will slip, if content will be late, if permissions will clear, if the school will be happy. That’s not easy to navigate and when we’re busy, we’re really busy. But that’s the part I love most. I enjoy being in the thick of it. I get to work on a wide variety of projects along the way. We have two primary kinds of custom books: camera-ready copy, which is when we format content given to us by the school to look like the rest of book, and manuscript, which needs to be coded and sent out to a typesetter, who lays out the pages. We can also add or remove pages and repaginate, as well as do custom covers. All these factors determine the difficulty of producing a custom text. At Bedford/St. Martin’s, we have two custom databases that instructors can use online to create their own custom reader from our selections. Maintaining the databases is a long-term project, especially where permissions are concerned. Finally, we do custom media as well, largely for LMS (Learning Management Systems) and different ebooks, depending on the interest of the school. The nice thing about custom is that we get to interact directly with our sales reps and school instructors. Customization begins with ideas and conversations, and we like to keep both rep and instructor aware of the progress of their project. It may seem like something small, but this keeps me engaged with the larger aspects of educational publishing as an industry. And I get to see a little bit more of the life the book has once it leaves my desk. So, yes, we in custom may seem a little bit apart, and a little crazy at times (particularly in the spring), but we’re really very nice! So come and say hello if you pass us in the corridor. We’ll probably be customizing one of those books you were just working on very soon. This article was contributed by YPG member Sophia Latorre-Zengierski. Learn more about our contributors on our Contributing Writers page. Post photo by timuiuc on Flickr.